This week our BoBunny Design Team will be sharing a variety of projects featuring our Woodland Winter collection. 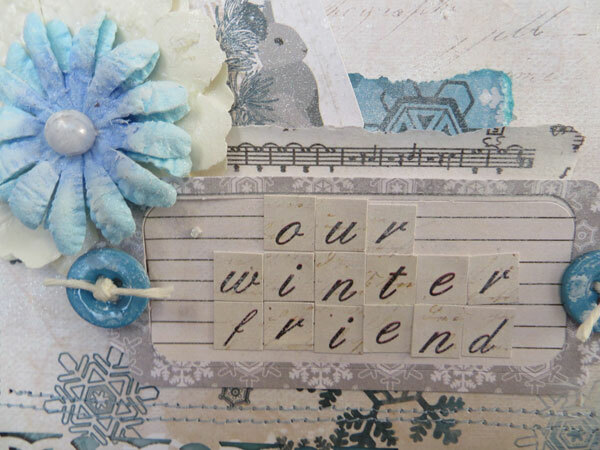 Today, Lynn, Ulrika and Rhonda have each created a scrapbook page to share with you. Once you take a look at them, we are sure you will be inspired to pull out this collection and start scrapping! I loved working with the white and blue color palette on this layout. For some added texture I used Glass Bead Texture Gel and a stencil. 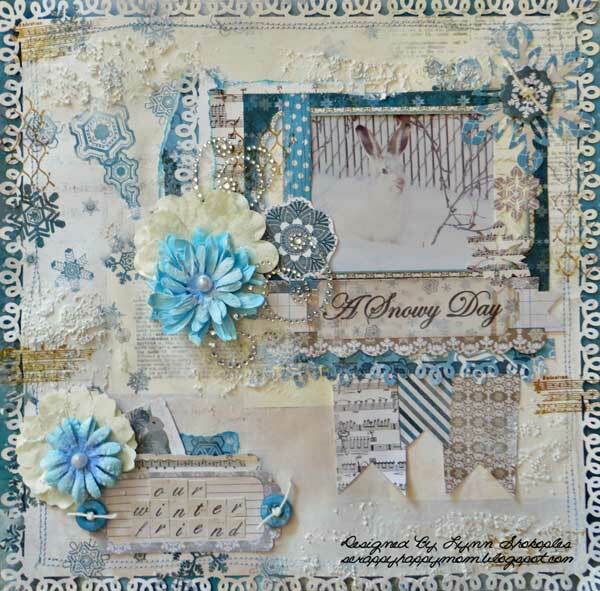 I used it in random spots on my layout and also on the Blossoms to give everything a snowy effect. I also tucked in some of the jewels for some added winter bling. The glass beads added just a touch of sparkle to highlight the jewels on the page. I love using the stickers that come with the collection for some quick journaling. Our little bunny is our winter friend. He sleeps in our yard even though we have two big dogs. They have all become friends. 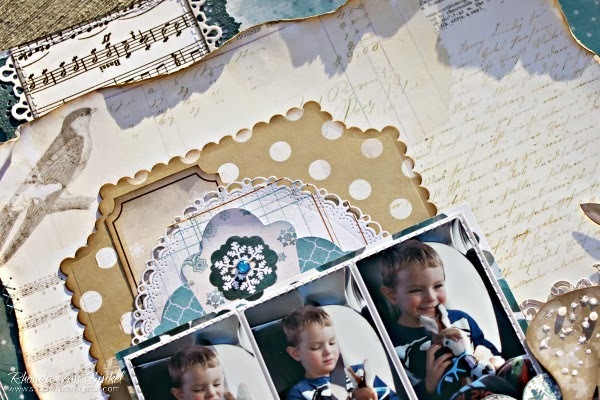 This is such a gorgeous paper collection and it works perfectly with winter pictures! I found these pictures of my son where the winter sky totally matches the chipboard swirls and the flowers! 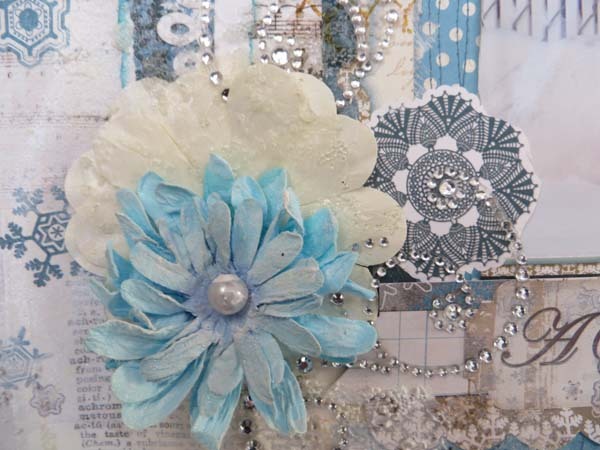 I attempted to create a to make a clean and simple layout that has a "romantic touch" from the flowers, rhinestones and chipboard swirls. The brown flower is actually a beige one that I easily colored with a Distress Ink pad to help it match the textured background. I thought it would be fun to use some non-winter photos with the Woodland Winter collection and challenged myself to do it. These are some photos I took these of our youngest son playing "Cool Bunny" by adding sunglasses to his favorite little stuffed bunny in the car. 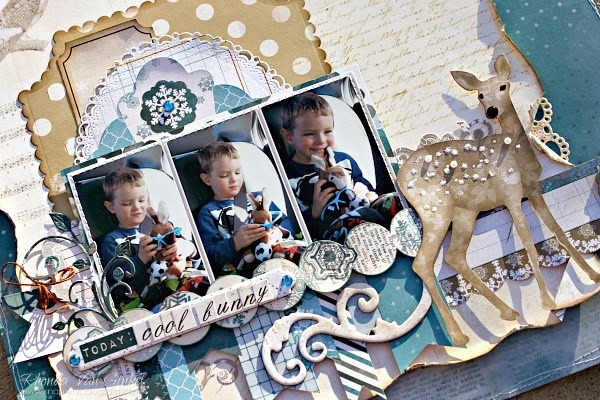 I love using our Noteworthy die cut elements and you see a variety of them here. They are perfect to layer into your design and add that extra elegant touch. I added a few Jewels in a pearl finish to the deer and a pretty black Jewel nose. For extra texture I applied some Stickles as well. This is such a stunning collection, perfect for your winter photos and more! 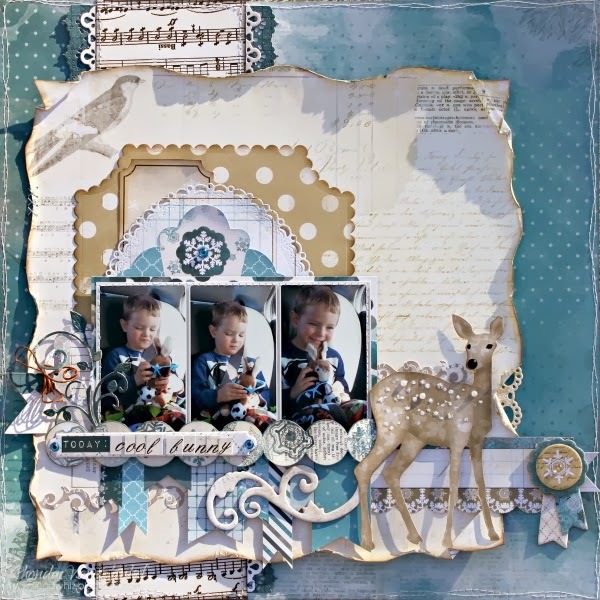 Have you created any layouts using Woodland Winter? If so, we would love to see them! Link them up below or post them on our BoBunny Facebook Page. Wow ladies....these pages are just awesome! Love, love love!!!! I LOVE the layouts! Great work. So very beautiful!! All of them!! You have worked magic with the gorgeous collection! Absolutely beautiful. I have to say I love Ulrika's layout. This is such a beautiful collection. It would be good for any occasion. Very nice pages , I like how the darker blue in every one of them really sets them off. I love this collection. Great colors! All of these layouts are super!